After the Uber comment controversy, NeNe Leakes is back at it with her comedy show. Her latest show went down in Washington, D.C. and she had her Real Housewives of Atlanta co-star Cynthia Bailey on hand for support. Real Housewives of Potomac cast members Karen Huger, Candiace Dilliard, Charrisse Jackson-Jordan, and Monique Samuels turned the comedy show into an Atlanta/Potomac crossover by showing up to support NeNe as well. Karen’s husband Ray Huger, Candiace’s fiancé Chris Bassett, and Monique’s husband Chris Samuels were also on hand to check out NeNe doing her thing in the nation’s Capitol. Did the Real Housewives cast members even get together if they didn’t take photos together? Of course not. Pics or it didn’t happen. All of the Potomac and Atlanta Housewives intermingled and took a lot of photos together to mark the crossover occasion. Check out the photos of the Atlanta and Potomac Housewives at NeNe’s comedy show in Washington, D.C. by clicking through the gallery below. TELL US: WOULD YOU SEE NENE’S COMEDY SHOW IF IT WAS IN A CITY NEAR YOU? WHAT DO YOU THINK ABOUT THE CURRENT REAL HOUSEWIVES OF POTOMAC SEASON SO FAR? 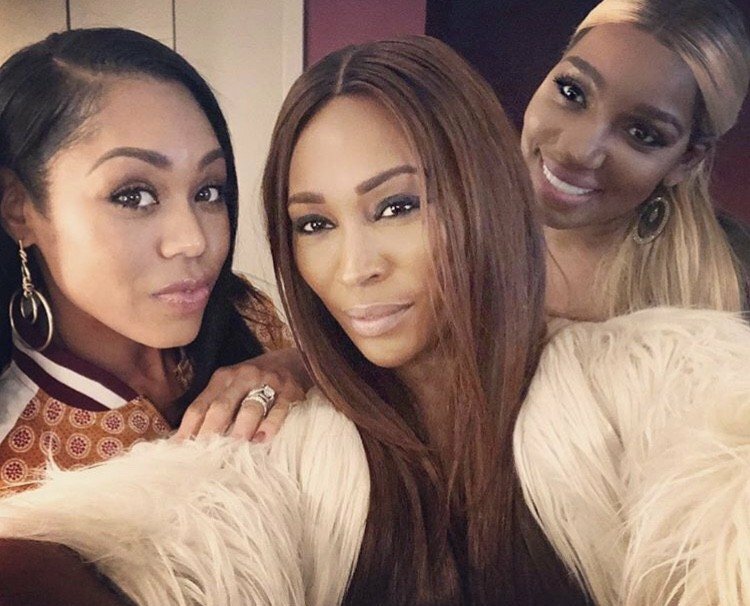 HOW DO YOU FEEL ABOUT SEASON 10 OF REAL HOUSEWIVES OF ATLANTA NOW THAT IT’S OVER?